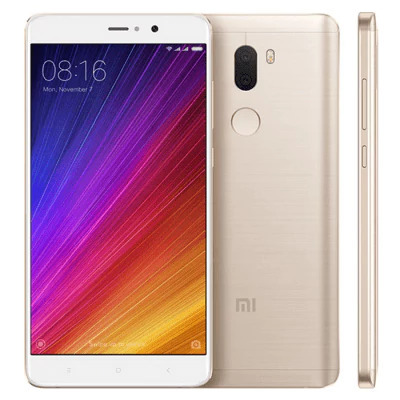 Buy Xiaomi Mi5s Plus 4G Phablet for 299 $ Only: Tired of waiting for Redmi Note 4, Redmi 4A and Redmi 4 to be back in stock..? Well, the mobile sale will happen only once in a week. But we at Flipshope find one perfect alternative, if you are looking to buy Redmi note 4 which is the best mid range mobile in India then you may like this product which is Xiaomi Mi5s Plus. This is a flagship mobile and presently on Flash sale with huge discount. It got same specifications as oneplus 3T and the price is less than 20000 Rs. Here are the more details on Buy Xiaomi Mi5s Plus 4G. This mobile hasn’t released in India but it is now available to buy on some foreign sites such as gearbest and more. The main reason for not releasing in India is it is a flagship mobile xiaomi only releases Mid-Range priced mobiles in India. This mobile comes in 3 different colors and powered by Qualcomm Snapdragon 821 Quad Core 2.35GHz chipset. Which is latest in the market but it only comes in one storage variant which is 4GB RAM & 64GB ROM. The main feature of this Buy Xiaomi Mi5s Plus 4G is it comes with the dual camera on the back. Which is first ever xiaomi mobile to offer that feature. If you have any doubts check our article on how to buy gearbest products in India. As mentioned earlier this is a flagship mobile no other Xiaomi Flagship mobile priced under 20000 Rs. But this mobile presently available with a huge discount on gearbest site. It is the only xiaomi flagship mobile which is priced under 300$, this offer is only valid for limited time. If you want to claim this then you need to visit this link and apply this code MI5PLUS at the checkout time. Offer is only valid from 1st August to 31st August.